Paula's Family Florist — Also Known As Cottage Florist. Thank you for stopping by! 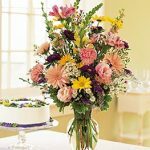 Paula's Family Florist has been serving the floral needs of Antioch, Pittsburg, Oakley, and Brentwood for many years. 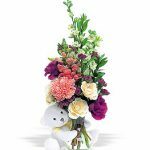 We are a family owned florist shop and are very passionate about making sure you get beautiful flowers and floral arrangements for all your special occasions. Feel free to call us, Shop online or contact us online. "I have been buying flowers for years. And Paula's family florist is by far the best Florist yet! every time I go in to order flowers, I get the friendliest, fastest service ever. The flowers are really fresh and last for a really long time. Keep up the great work!"